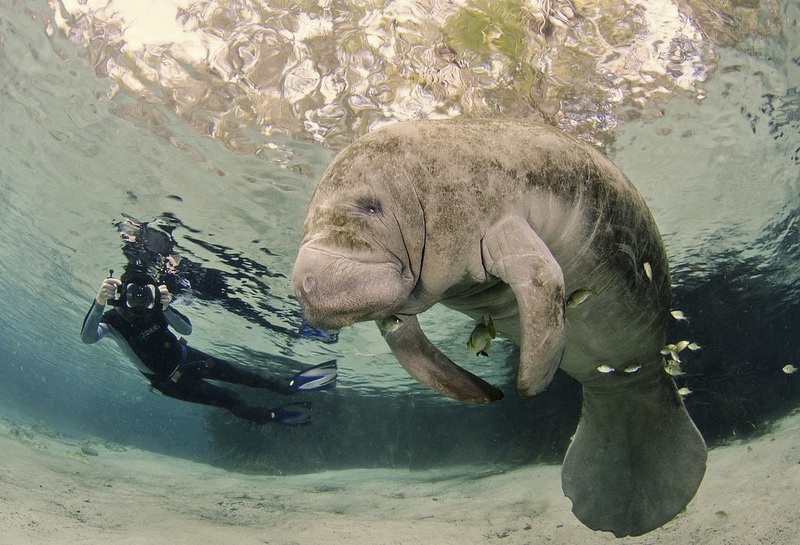 The Manatees from Florida (Trichechus manatus latirostrus) are not to be confused with the Dugongs (Dugong dugong)of the Indian Ocean. These amiable vegetarians, however, do share many behavioral characteristics. 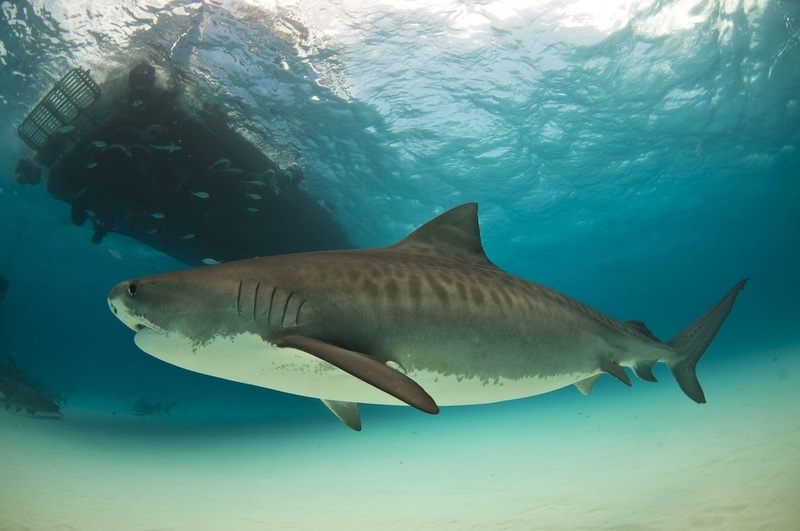 Tiger shark Emma is the biggest, most famous and oldest female tiger shark of Tiger Beach Bahamas. She has been a super-model for perhaps thousands of underwater photographers. After some years of absence, she was recently spotted again by the Epic team at Tiger beach. A bit more wrinkled perhaps, but still looking in good shape. I took the picture at the left of a pregnant Emma 10 years ago. So assuming that she could then have been around 10 years old, her current age should not be far from 20 years. Emma must have quite a number of grandsons and granddaughters swimming in the Bahamas territories, but DNA profiling is difficult in such a wide territory with many fathers remaining unknown. But it could tell how many of the residential female sharks that visit Tiger Beach every year, belong to her offspring. 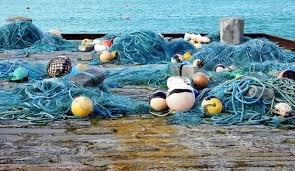 Highlighted: Rise in ocean macroplastics from fishing over 60 years. News: record early thaws in Alaska. The increasingly early melt reflects Alaska's long-term climate change, said Brian Brettschneider, a climate researcher with the University of Alaska Fairbanks' International Arctic Research Center. 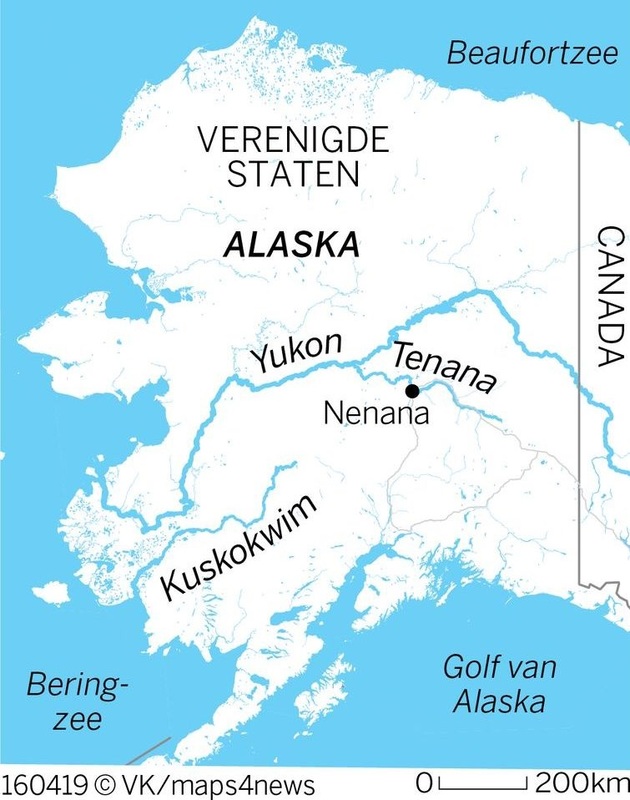 Alaska rivers that are usually frozen at this time of year are now free-flowing, with record-early thaws following record-high winter and spring temperatures. This holds not only for rivers like the Kuskokwim and Tanana but also for large areas of the Bering street. Transportation across the ice layers of the rivers is getting more of a problem for trucks that supply the villages connected by the rivers. 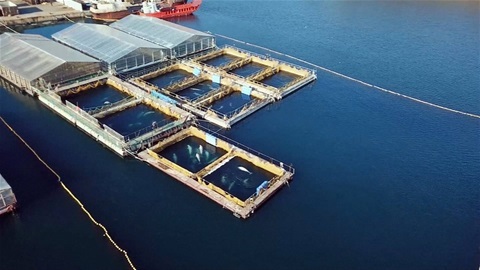 After discovery by Greenpeace, there is growing international pressure on Russia for belugas and orca's held in captivity and caught in the Sea of Ochotsk. About hundred of these sea mammals are held in pools, probably for sale to China. Jean-Michel Cousteau is one of the activists trying to persuade the owners to set the animals free. Once the surge of water reached a river mouth, it transformed into a 30-foot wall of water, tossing hundreds if not thousands of freshwater fish — sturgeon and paddlefish — onto a sandbar and temporarily reversing the flow of the river (Source: UW news). 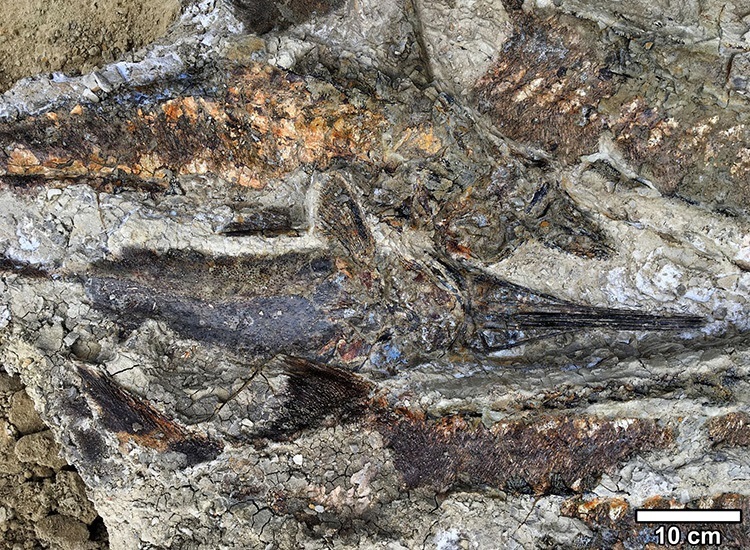 A North-Dakota site called Hell Creek shows wreckage from the same object that killed the dinosaurs. Discovered by paleontologist Robert DePalma and colleague Jan Smit from Holland. 66 million years ago a 10 km large meteor smashed one earth, creating a 180 km wide crater near Yucatan Mexico. Vague traces of its impact can still be seen on satellite photos as a semicircular depression surrounded by small pools of water, the current ceynotes. The impact generated a megatsunami- wave in an inland sea that killed and buried fish, mammals, insects and a dinosaur, the first victims of Earth’s most recent mass extinction event. The deathbed created within an hour of the impact has recently been excavated at an unprecedented fossil site in a North-Dakota mud pool. In Marine protected areas with open boundaries migration of fishes and marine mammals is not blocked. On land this is a different story. Increased human activity around one of Africa’s most iconic ecosystems is squeezing the wildlife in its core, according to a recent publication in Science. 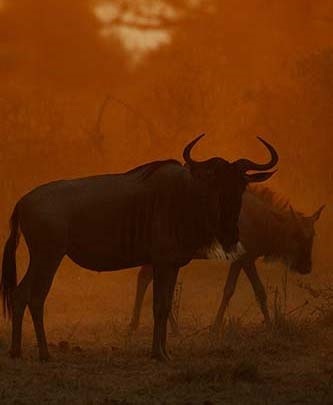 The increase of cropland and livestock around the edges of the protected areas squeezes the migration in a smaller area, especially with poorer fertility soils and thus poorer quality vegetation.In Kenya the Serengetti/Mara squeeze is becoming an increasing problem for wildlife, especially in periods of extreme droughts See also the interactive maps of the area. Australian Sea-Lions are one of the most rare and endangered seal species in the world with fewer than 12,000 left. Unlike most seals that breed annually, Australian Sea-Lions breed only every 18 months and tend to exhibit high site fidelity and stay close to where they are born. Breeding females have little or no interchange between breeding colonies. The small haul-out location of Seal Bay, Hopkins Island located on the Eyre peninsula within the Spenser Gulf, South Australia, offers a year-round opportunity to swim and scuba with these charismatic animals, often likened to underwater Labradors. Here photographer Peter Verhoog, patiently waits for the ideal moment to snap an image of these four precocious pinnipeds. — withPeter Verhoog Underwater & Nature Photography,Peter Verhoog and Andrew Fox.